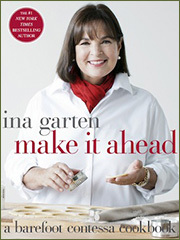 Spend An Evening With “The Barefoot Contessa”! Join Community Partnership on Aging for a culinary experience in Downtown Cleveland on Tuesday, March 3rd 2015! Prior to the event, we will be having an incredible culinary experience at District in downtown Cleveland. This evening will delight your palate, stimulate your culinary creativity, and leave you with wonderful memories of friends and food! Space is limited. Please call the trip office at (440) 473-5138 for more information or to register. Cost: $82.00 per person. Includes transportation, dinner, and the show.